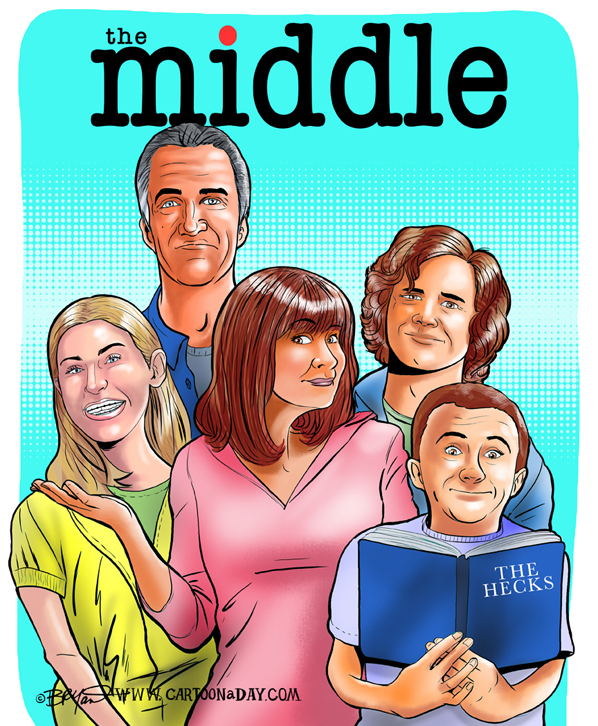 If you’re fans of ABC’s the Middle, featuring the Heck family growing up in Indiana, you’ll be sad to learn the series is at is end. The Middle has wrapped after 9 seasons. This is a cast caricature of the Heck family.